Peanut butter just got peanut better. Love peanut butter but hate the mess? Get the Pump! Everyone loves peanut butter but no one likes to clean it up. 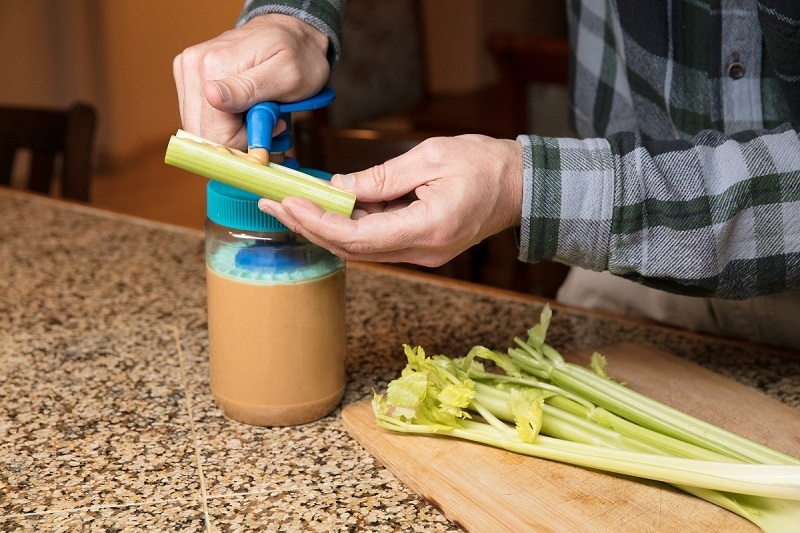 The Peanut Butter Pump is the ultimate kitchen tool for peanut butter. It’s convenient and easy to use. Whether you want to make the perfect PB&J sandwich or add just the right amount to your protein shake, it’s the perfect kitchen tool for measuring and dispensing peanut butter every time! Claim Your Offer Now to Save 33% Off Retail and Enter For a Chance to Win a Facebook Portal+. With the Peanut Butter Pump it’s easy to measure and dispense peanut butter. Plus, there’s nothing to clean-up afterwards. Peanut butter is sticky – but not for this pump. We designed special valves that won’t stick open or closed. It’ll work fine every time. Since the Peanut Butter Pump takes it straight from the jar, you won’t need to open stuck jars. Just pump the pump. And Yes! It works on chunky! While today’s production version is set for creamy, if there’s enough demand we’ll include the crunch factor for everyone! It makes peanut butter so easy to use, you’ll want to use it in just about everything. The sandwich (ribbon) nozzle is great for putting just the right amount on your PB&J. The stream nozzle works great for recipes – helping you get the right amount every time. Our unique mechanism uses suction to pull the airlock downward and ensures a good pump right to the end. 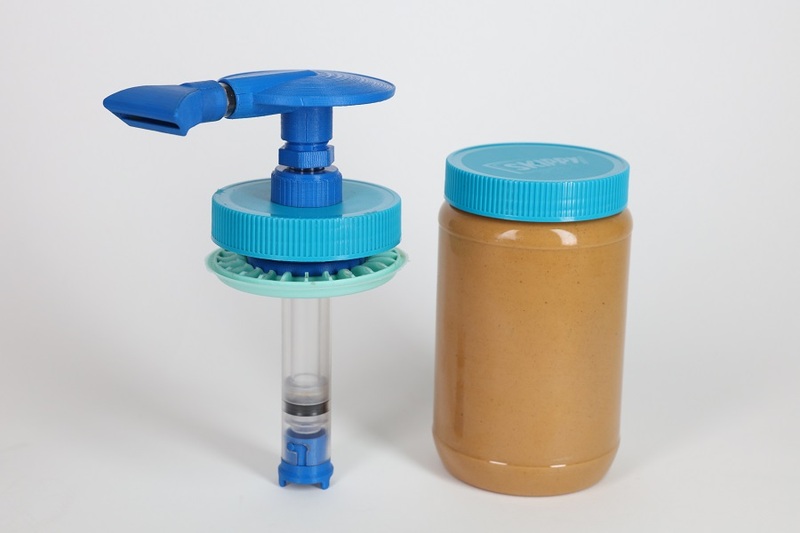 Every part of the Peanut Butter Pump is made with foodsafe components and can be used in commercial kitchens and restaurants. Since each pump delivers a precise amount, you’ll know exactly how much you’re dispensing. We made the Peanut Butter Pump to work with most containers on the market, so you won’t need to switch brands to use it. In fact, the Peanut Butter Pump scrapes the jar itself as it works. When you’re finished, toss the jar right in the recycling. The PB&J is just the beginning! Healthy snacks of peanut butter on apple slices or celery sticks are easier than ever, and the list goes on! Now, you can measure the right amount of peanut butter so every smoothie can be perfect, every batch of peanut butter cookies will be just right, and every recipe will turn out exactly how it should. There’s also no utensils to wash and anyone can use it — even a certain 4-year-old who wants to make his own PB&J for lunch today. 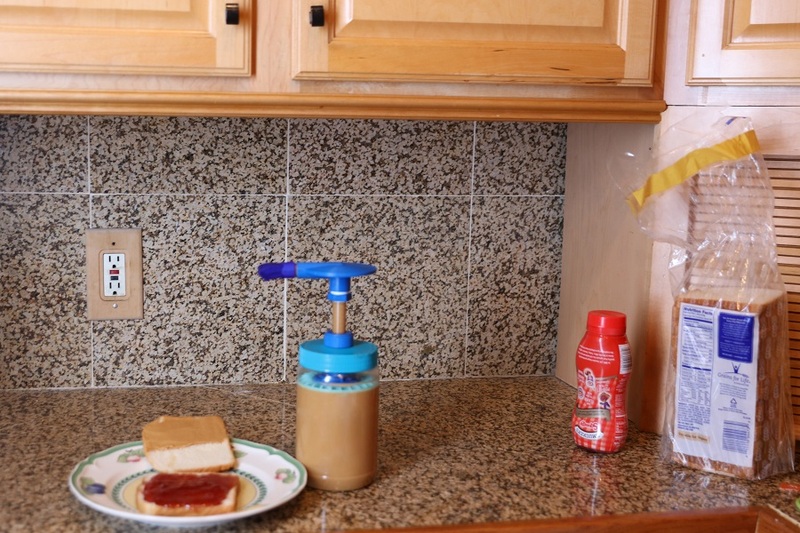 The Peanut Butter Pump can do it all with no hassle and no mess. In a restaurant where time is money and quality is everything, the Peanut Butter Pump can improve across the board. With less time to dispense and less utensils in use, you’ll save prep time and cleanup time. Convenient portion control helps manage your recipe quality and your food cost. Ideal for baking, where exact measurements are key. Also, the Peanut Butter Pump shines in a cafeteria or buffet line because it’s easy for anyone to use without sharing a knife. Dogs love peanut butter and they’ll love the Peanut Butter Pump. Fill their chew toy in a flash, and keep them entertained easier than ever. And vets recommend using peanut butter to help pets take medicine. The Peanut Butter Pump is a zero mess way of coating their pills in a delicious snack. For dogs, a pump-ful of peanut butter helps the medicine go down. What can you make with peanut butter? Just about anything. From the classic Elvis sandwich to your grandma’s peanut brittle recipe, the Peanut Butter Pump shines. How about that perfect sweet and creamy peanut butter frosting? You’ll get it right every time with the Peanut Butter Pump. 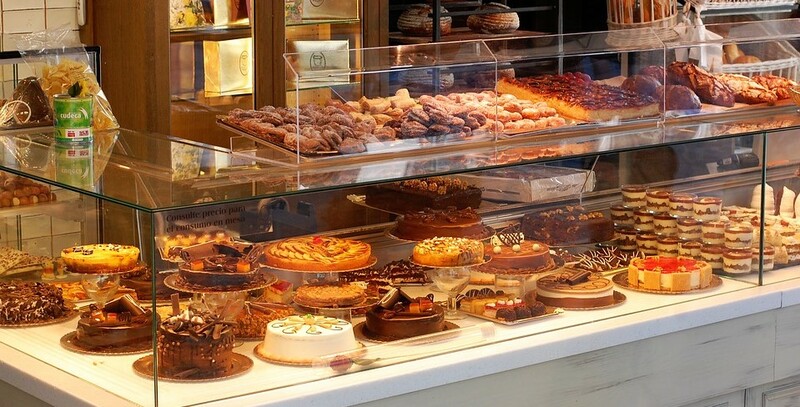 And it’s not just for dessert. You can whip up a savory peanut dipping sauce for satays or a peanut chicken curry that gets the amount of peanut flavor just right. Sign up now if you love Peanut Butter and enter for a chance to win a Facebook Portal+. CHECK OUT WHAT PEOPLE ARE SAYING ABOUT THE PEANUT BUTTER PUMP! FOLLOW US FOR THE LATEST IN HOT NEW TECH AND GADGET. Click here to visit Hot-NewTech.com for more awesomeness.